So the other day I was planning out my next few blog posts, (trying to get organised, I know) and I felt something itching on my face so I grabbed a mirror and discovered a delightful spot trying to make its way to the surface. How wonderful. Now I've suffered from acne on and off for the past 5 years. I'll go through a few months of pretty darn perfect skin after a course of antibiotics, and then suddenly I'll wake up to an army of spots trying to take over my face and I'm back to square one. My skin at the moment has been pretty good for a while now, but like everyone else on the planet - except Victoria's Secret models and the Kardashians - I still get the odd, very annoying breakout. 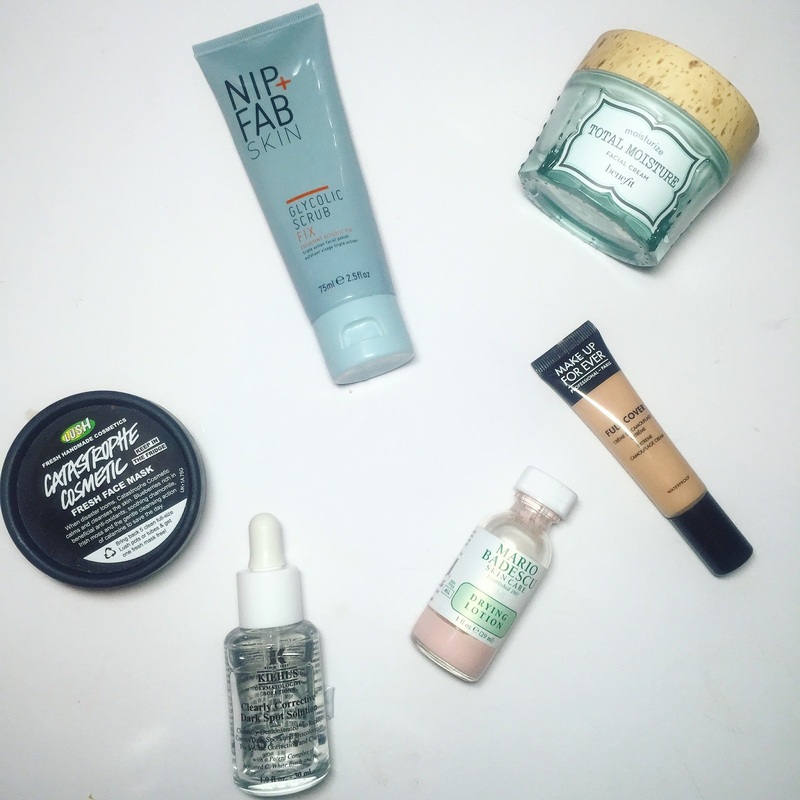 So I thought I'd do a post on my favourite breakout-busting products, or those that just keep my skin nice and clear. I'm hoping this will be useful for anyone else that suffers with annoying acne too. 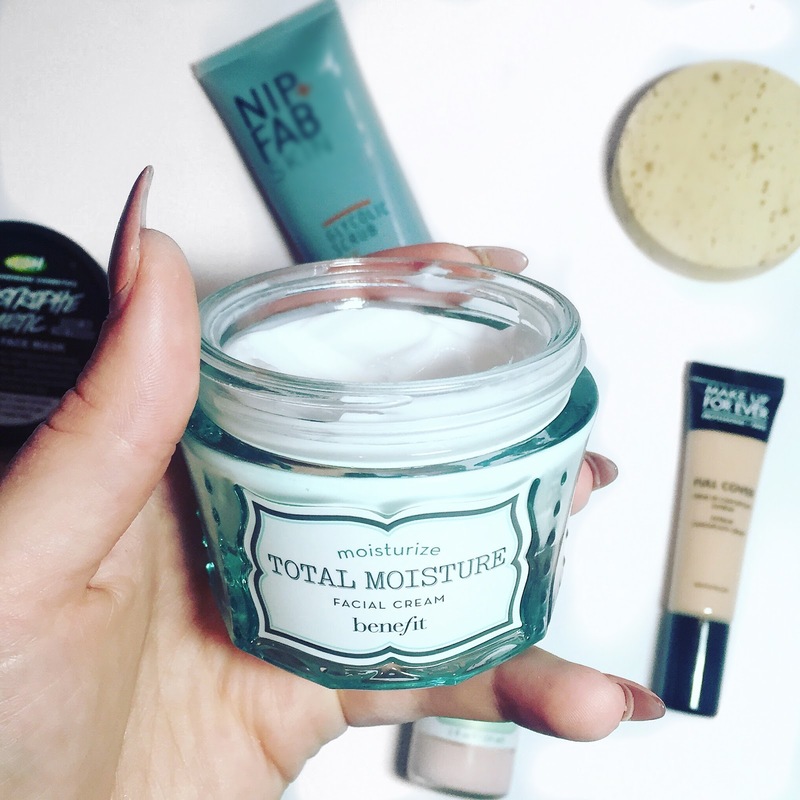 Catastrophe Cosmetic face mask has been a favourite of mine for years and it's perfect for those days when you feel like your make-up has been on for hours and your skin needs some TLC. I actually remember being in Sandbanks with family many moons ago and my cousin Phoebe and I had it on our faces. Because it smells so fruity and yummy, before we knew it the whole family (even my uncle Steve) ended up putting it on! It's a mixture of blueberries, almond oil and calamine, making a really refreshing paste that's leaves your skin feeling silky smooth and squeaky clean. 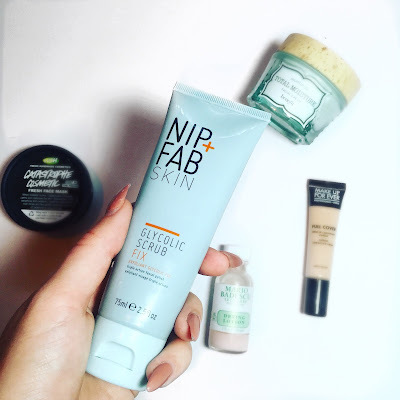 I was out on one of many dangerous shopping trips with my friend Megan, and she recommended the Nip and Fab range as it had worked wonders for her skin! I gave this a go as I was in the market for a new exfoliator and this is just perfect for me. It's a great scrub to use in your morning shower as the grapefruit extract is really energising; and the active ingredients are salicylic and glycolic acid which kill bacteria and increase cell turnover. Basically in non-sciency terms it makes your skin good. It has definitely improved the overall appearance of my skin and I can always notice a difference the day after I've used it. 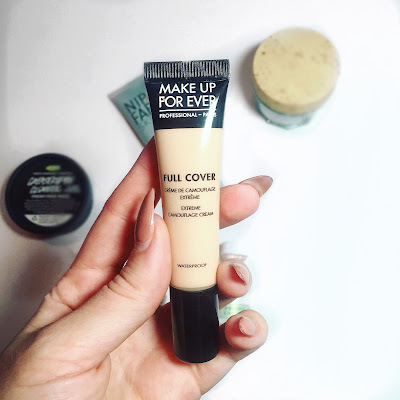 If you've tried anything from this brand, let me know, cause I'd love to explore! 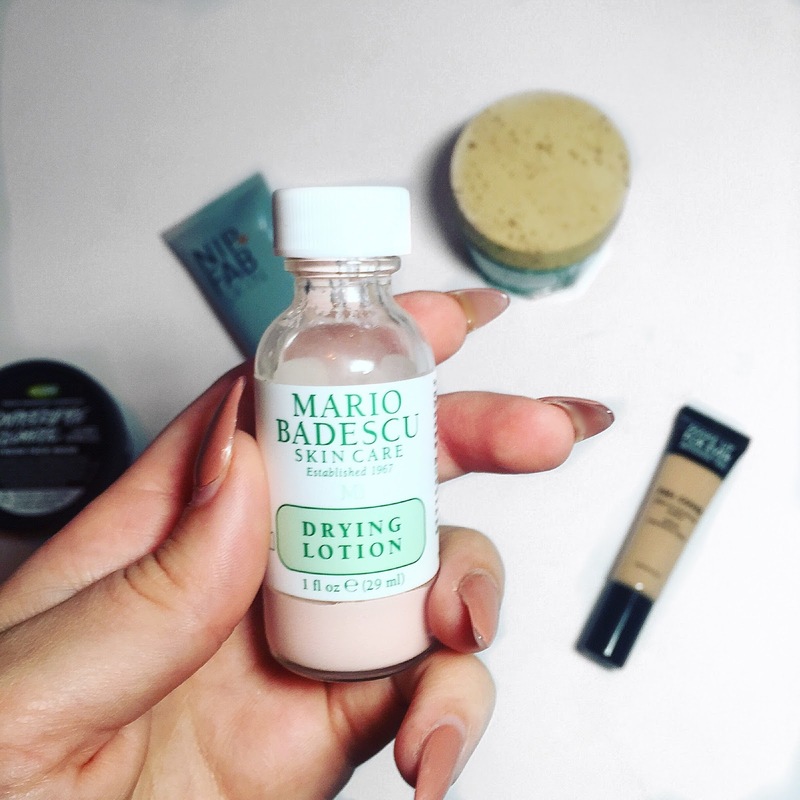 If you're in need of a quick fix spot treatment then look no further than the Mario Badescu Drying Lotion. I picked this up from Blue Mercury (a cute little Space NK-type shop in NYC) but you can find it online at Beauty Bay here in jolly old England. Its made up of a pink sediment and liquid that are meant to be separate, (i.e. don't shake it, you have been warned) and you dip a cotton bud all the way in so that it is coated in the sediment. Dot it directly onto any active volcanoes before bed, and yes whilst you might look a bit like Mr Blobby, you should find that your spots buggar off much quicker, and look a lot less red and angry in the process. The final product I have to mention doesn't help with breakouts, but it's brilliant for dealing with the aftermath. Following a breakout, some unfortunate people including myself, are left with scarring and dark marks (No, I'm not a Death Eater); also known as Hyperpigmentation. My problem area used to be my cheeks, and even though I've not had acne in that area for months, I'm still left with a LOT of scars, which make me extremely self conscious without foundation on. 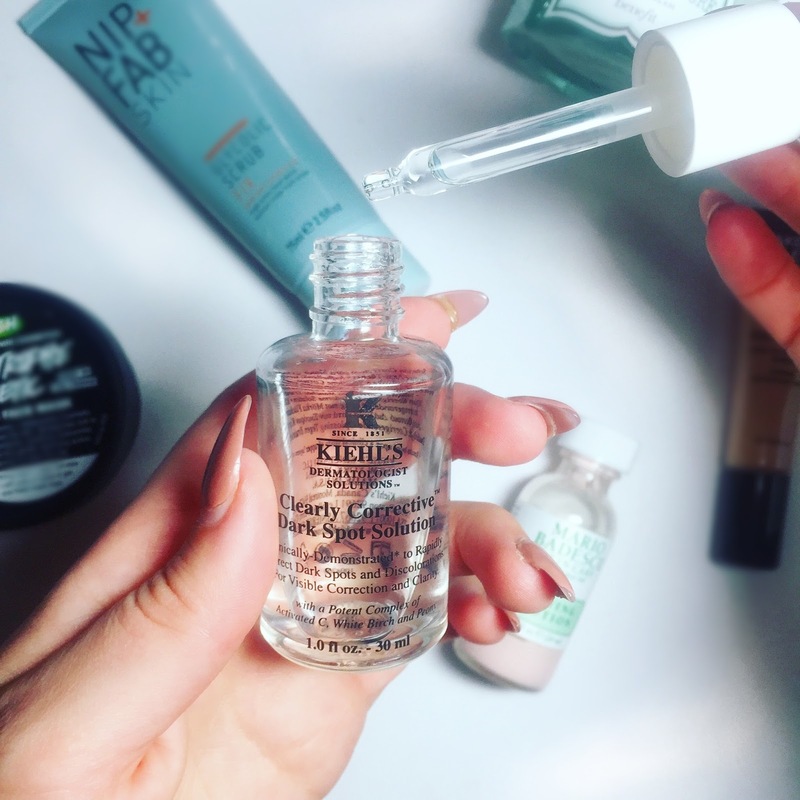 I bought the Kiehls Clearly Corrective Dark Spot Solution three months ago, and after using a few drops on my face every night, my scars are definitely becoming duller and less noticeable, so I can't praise this product enough. The ideas for hyperpigmentation were particularly interesting - thanks! Great post and lovely products. Thanks for share. wow this hair colour suits you alot Thanks alot for sharing this stuff i was also thinking about brown balayage for my hair. I think at that point they were on second place, only a couple of minutes behind the pioneers. Jason and co-pilot Monty Aldrich assumed control for the last 100 miles, charging hard trying to get the pioneer. However, I'm living in Houston and now looking best dissertation writing help in us. If anyone felt he have good skills of writing then must let me about it.